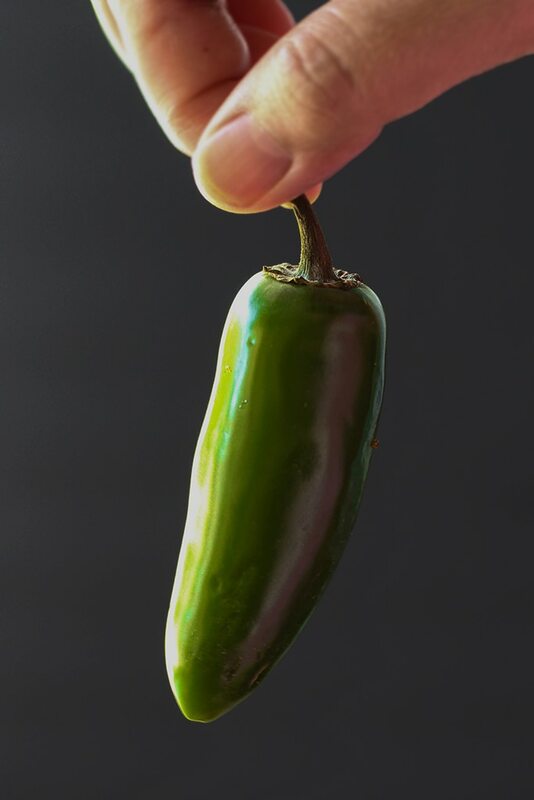 Jalapenos are kinda touch and go with me. I only like them if they’re pickled and sour enough to compete with the heat. Other than that, I stay clear of them like a big baby. But enough about me. 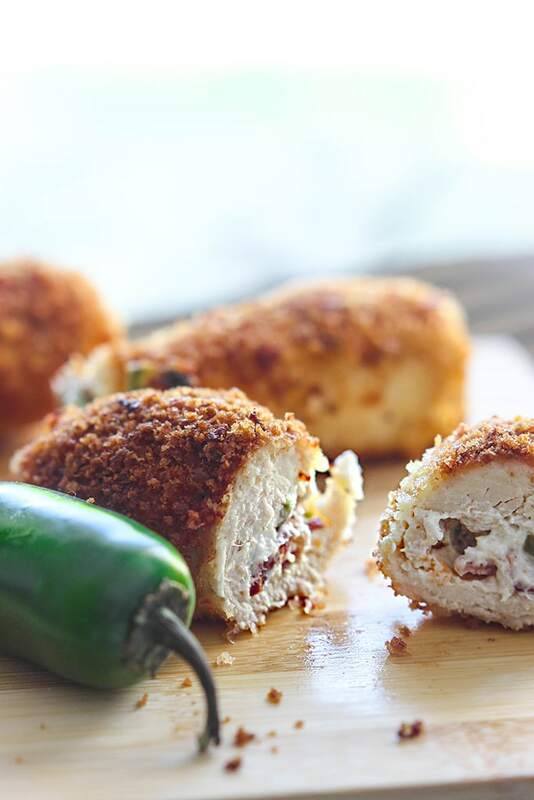 If you’re all about jalapenos, here’s some jalapenos with cream cheese and some bacon bits stuffed into a crispy breaded chicken aka some jalapeno popper chicken. It’s really, really good. The first few shots I took looked so horrible I almost gave up on posting this. But after tasting it I felt I really had to share it cause it would be a shame not to. So I kept trying and finally got it the way I wanted. Yay for perseverance! 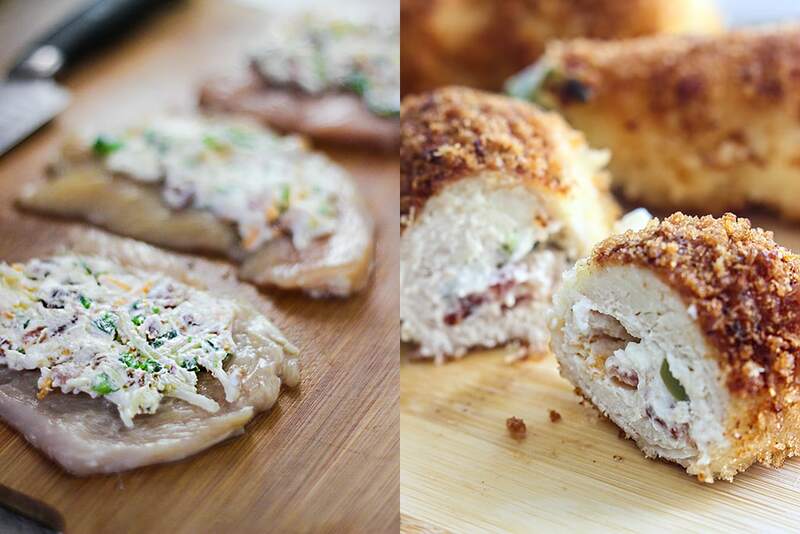 Anyway, today’s recipe is just another fun way to dress up your chicken and another excuse to sneak some cheese onto the dinner table. If you’re in the mood for this, let’s get cooking! The hardest part for me was halving the chicken breasts. 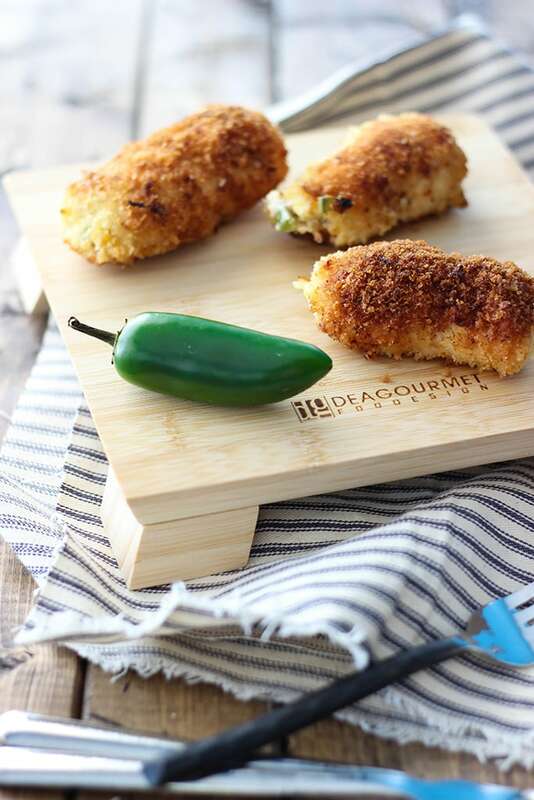 I’ve read that some recipes use thin cuts of chicken breasts or chicken cutlets as they call them but I had a hard time finding them in my area. So I decided to just thin out a chicken breast myself. You’ll wind up with 8 thin slices which should be enough for 4 people. 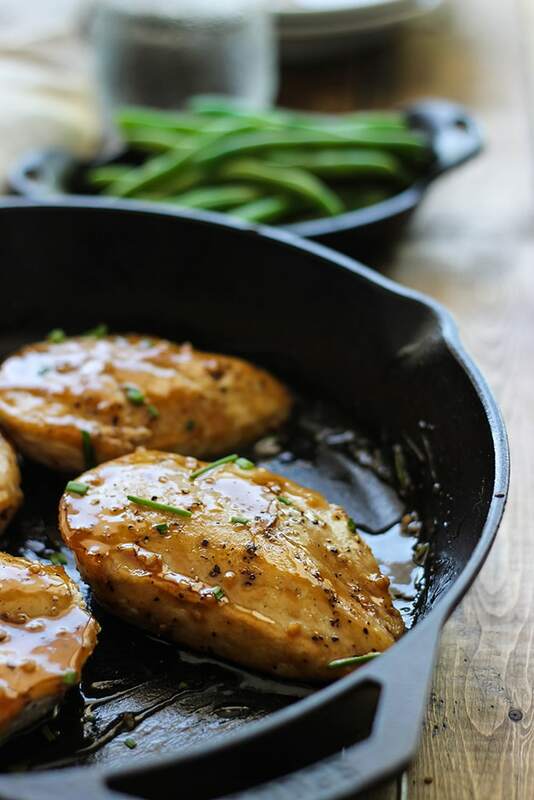 Since most chicken breasts tend to mound up in the center, you might want to pound it down a little first before slicing it in half lengthwise. Just make sure your thin slices are thin enough to roll up. Too thick and you won’t get much roll. Then it’s combining the stuffing which is super easy. I left out the seeds in the jalapenos cause I’m a baby like that but if you want the heat, keep them. When it comes to the stuffing time, spread about two teaspoons of the cheese mixture in the middle of each chicken strip. Keep the edges free while you’re doing this or it’ll ooze out once you roll it up. 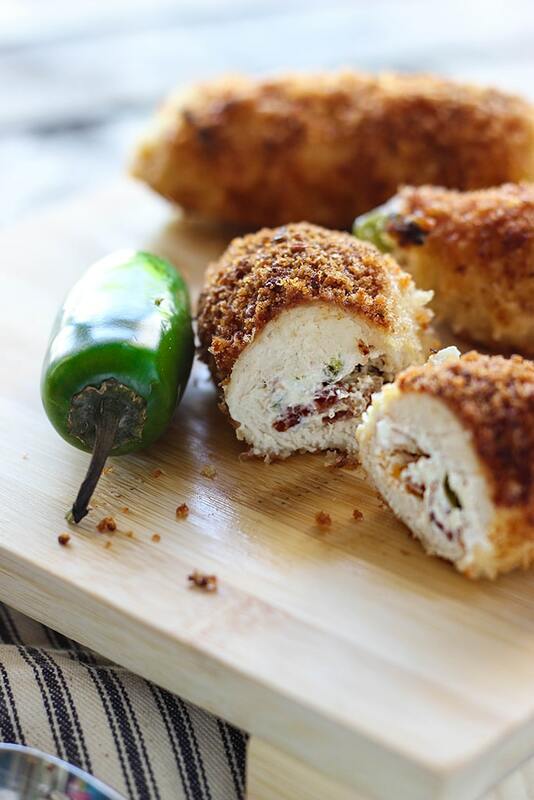 Start your rolling and make sure the chicken stays rolled up by using toothpicks to secure the ends. 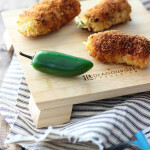 Then you dip them in egg and dredge them in panko breadcrumbs where they’re ready to be baked. I used small kitchen tongs to do the egg dipping so my hands weren’t all eggy. Pat in any excess breadcrumbs. I wanted my breading a little browner so I pan-fried them for a bit after baking. I figured the baking should be enough to cook the rolled up chicken insides and the pan-frying can take care of the crust. Once the pan is nice and hot, it shouldn’t take too long at all. 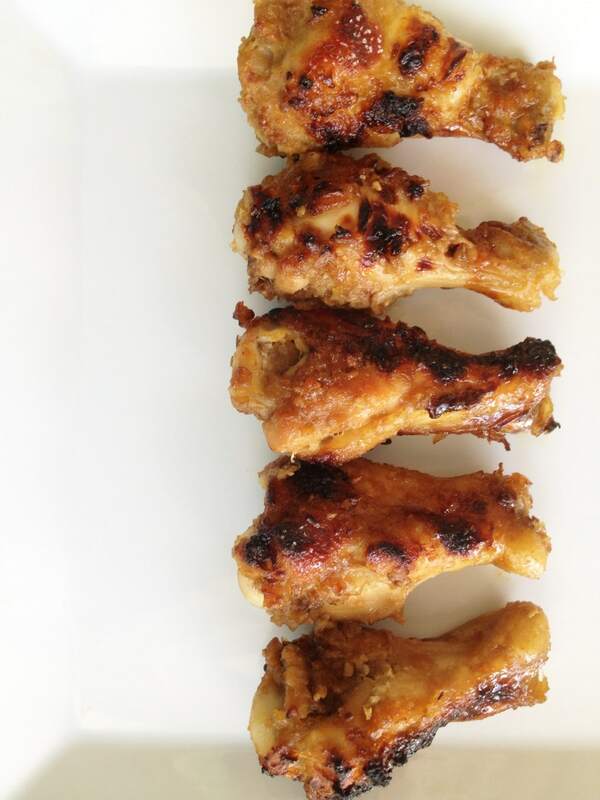 The toothpicks will get in the way of browning the sides, so trim them if you want it perfectly browned all around. You could try pan-frying it all the way, but I haven’t tried that yet. If we go by the times I usually use to pan-fry chicken, it should be about 3 minutes per side. Let me know if you try pan-frying fully and how long it took you! And that’s it. Happy cooking! Farah, I enjoy so much reading your blog!! This recoipe was the inspiration of my day! 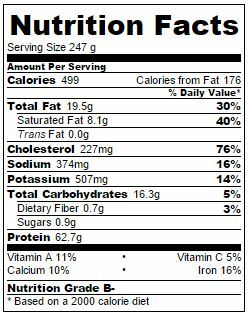 I love this kind of stuff, crispy and crunchy: -) and I love that you put the cal number and the nutrition data, so that one makes a concious choice!! I’m glad the nutritional labels help people! They’re more of an estimate but hopefully close enough. Oh and I love crispy stuff too! These are so incredibly perfect! Appreciate it, Matt! They’re very good for people who don’t mind putting in the work! Hi Farah! These are making me hungry! I am going to give this recipe to my son. He actually cooks dinner for his (lucky) girlfriend almost every night. 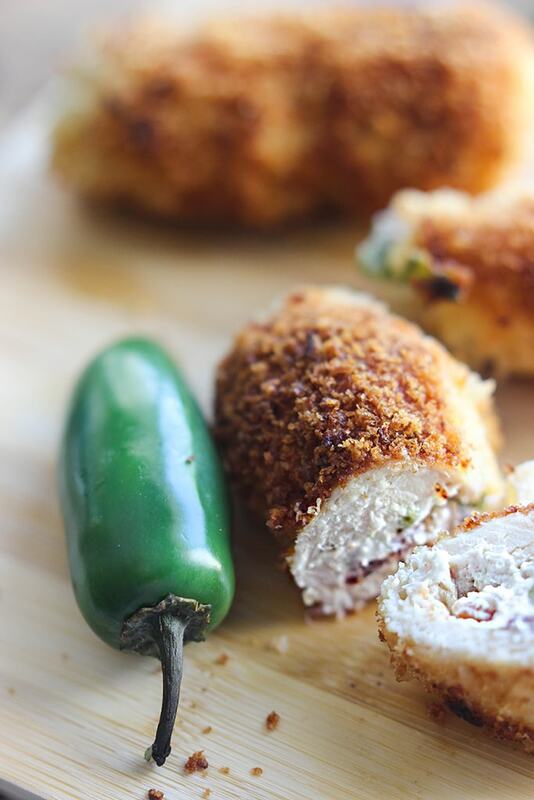 He loves chicken and jalapeno, so this will be on his menu soon! Thank you once again!! Gotta love a man that can cook! Hope he and his girlfriend enjoy it, Dorothy. 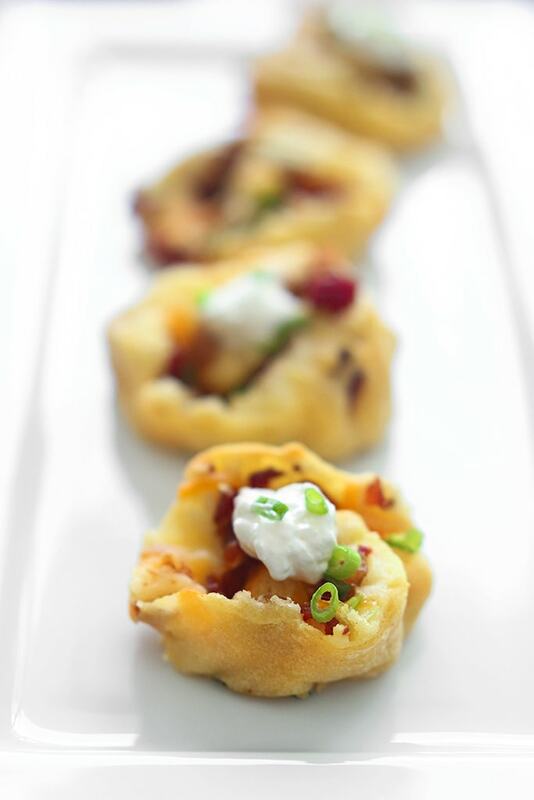 Tell them if they want it even cheesier, to stuff it with more cream cheese!